Develop points for discussion and read WAT topic:" Posting on social media also requires self regulation "
Many people have the wrong idea that all kinds of information can be posted on social media sites, since it is the era of free speech and democracy. 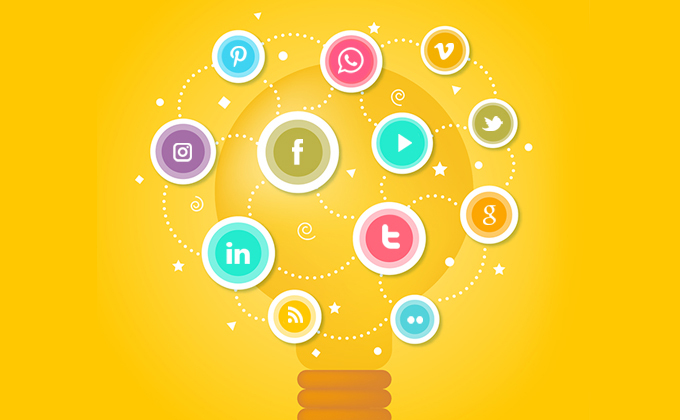 Social media sites are not just used by individuals, even businesses have corporate pages on social media sites to promote their firms. Be it for corporate purpose or personal use, it is important to follow the unspoken laws of the virtual world, when posting content or images on social media sites like Face book, Twitter, LinkedIn and YouTube, to name a few. As per the ethical guidelines, it is not appropriate to post content with vulgar language, as it speaks negatively about the user. We are living in a civilised society, not a jungle, so, we ought to behave like people with culture and values. Social media sites are not platforms to defame another person or to put a company in a bad light. If negative feedback has to be given, it is better to do in private, than on the public domain, where the entire world has access to your content. Users of Face book are keen on sharing jokes with their circle of friends. Jokes are good, no doubt, but before posting it on the Internet, it is better to do a litmus test to ensure that the content is not offensive to anyone. Since everything on the Internet is easily traceable, any offensive content can easily be tracked by the Internet Protocol (IP) address. Although the laws pertaining to the posting of content on the Internet are not cast in stone, basic ethical rules still apply. Often, the user is unable to carry out self-regulation of the content that is uploaded on social media sites. In such a scenario, it is best to get a third party to screen the content for possible errors before it goes on to the Internet permanently. The advent of social media sites has definitely broken all the barriers to communication, but it has not broken the ethical barriers. Although communication is faster and easier, do keep a mental checklist as to the words and the phrases you should avoid, to be a part of this civilised era. Social media sites are a boon in the 21st century; so, let’s not make the wonderful discovery slip through our fingers by misusing it and abusing it.